EUROPEAN UNION INVESTIGATORS have raided the London offices of 21st Century Fox as part of an inquiry into the distribution of media rights for sporting events. The European Commission, the executive of the European Union, said in a statement yesterday that it carried out “unannounced inspections” at offices in several European countries, but it didn’t identify the companies involved. 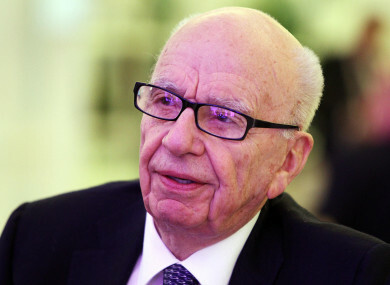 Rupert Murdoch is the executive chairman of 21st Century Fox. Fox Networks Group, which includes the company’s television, cable and sports media businesses, said in a statement that it is “cooperating fully” with the inspection. Email “EU officials raid offices of Murdoch's 21st Century Fox”. Feedback on “EU officials raid offices of Murdoch's 21st Century Fox”.